For first time brewers, it can be hard to get your beer properly capped the first time. The mechanics can be difficult, but you'll be rewarded with high-quality beer if done properly. Fortunately, we’ll teach you how to bottle beer. By doing so, you’ll be able to keep your bottles clean, sanitized, and ready for your next social gathering, brewing party, or for simple drinking at home! How Do You Bottle Your Beer? 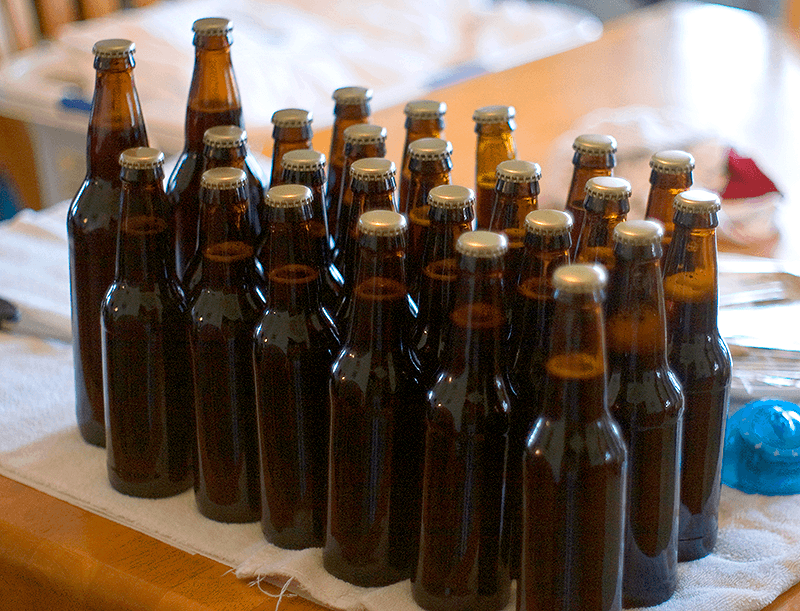 Beer bottling is a complex process, but doing it the correctly will ensure that your beer is safe to drink. First, you want to make sure that anything that comes in contact with your bear is clean and sanitary. Collect around 48 12 ounce bottles. If you do you have any extra bottles, Also, make sure that they don’t have a twist of style lid as it can be difficult to make a proper seal when capping. A bottle draining rack reduces the risk of tip-overs after the bottles start to dry. Clean them with a bottle brush, sanitize them, and give them time to drain. Place them on a drying rack so that they can drain without tipping over. Once you have your bottled dried, sanitize the spigot and the container. Then, attach an enema to the spigot and slowly release the beer into each bottle. Once the beer is in, tightly lock the bottle caps the top of the beer. What’s The Difference Between Green And Brown Glass? While both can protect the contents of your beer, they have some different properties. For example, brown glass can absorb the most ultraviolet radiation. It does this at wavelengths below 450 nm, so it gives the most protection from damaging light. Beer doesn't lose its quality due to light absorption, and you'll find popular brew beer bottles sold in brown glasses. Green glasses offer light protection, but not as much as brown bottles. This is because the wines and liquids can still get exposed to light while keeping its flavor intact. Why Should You Avoid Plastic Bottles? Plastic is filled with chemicals that that could seep into your drink and ruin the beer completely. For instance, Polyethylene Terephthalate (a plastic that’s used to store most soft drinks), receives a toxic metalloid, antimony. When stored in its room temperature or less, the leaches are safe. But once the temperatures increase, so does the drink’s antimony levels. When it’s stored the summer or other warm areas. That’s why most commercialized brewing companies use aluminum cans or brown bottles, as they are safer than other packaging methods. Another issue with plastic bottles is that they aren't unable to handle the pasteurization that most beers undergo. After the beer is brewed and packaged, it will be sent through a machine that sprays it with boiling water. This kills off the microbes that could have survived during the brewing process. While glass cans and bottles can handle the pasteurization process with no problem, plastic bottles are known for warping. This means that you'll have to use a high-quality plastic or skip the process completely. Because of this, plastic bottles are more expensive, which is a cost that most brewing companies tend to avoid. Like wine, there is a correct and incorrect way of storing your beer. Stand the beer upright instead of placing it on the side when stored - even commercial brewers like Heineken recommend this method over side storage. Doing this keeps the yeast settled down at the bottom of the beer bottle, instead of placing a watermark or yeast ring that doesn't mix in or settle correctly. And, modern corks don't tend to soak up air or dry, so that isn't an issue when storing multiple beer bottles and makes side storage unnecessary. And the best reason to keep your beers upright is because it reduces oxidation, thus ensuring that it maintains its taste. 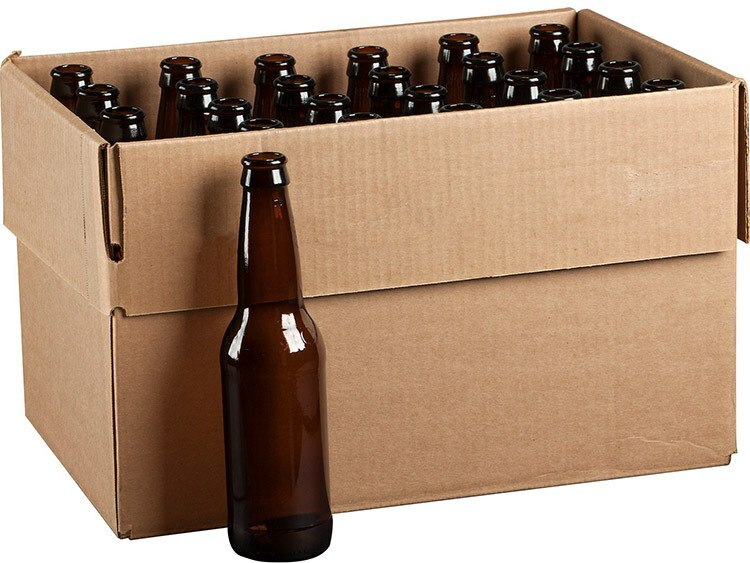 To store beer correctly, you should place it in a dark or dim location. This is because ultra-violet rays might spoil the beer, causing the beer to become “light struck” and have a “skunked” appearance, making the beer unhealthy to drink due to the sun contaminating the cells inside the bottle. Excessive heat reduces the beer quality over time, so its best to keep your beer in cool temperatures. While some people like to freeze their beers before consuming them, frozen beer cells don't return to their original form, and the beer won't taste as good. In order to keep your beers in a temperature-controlled environment, we suggest that you place them inside a refrigerator or beer cellar. However, refrigerators aren't recommended if you're collecting beer and plan on drinking them months later, as the refrigerator's dehydrating environment might reduce the quality of the beer. 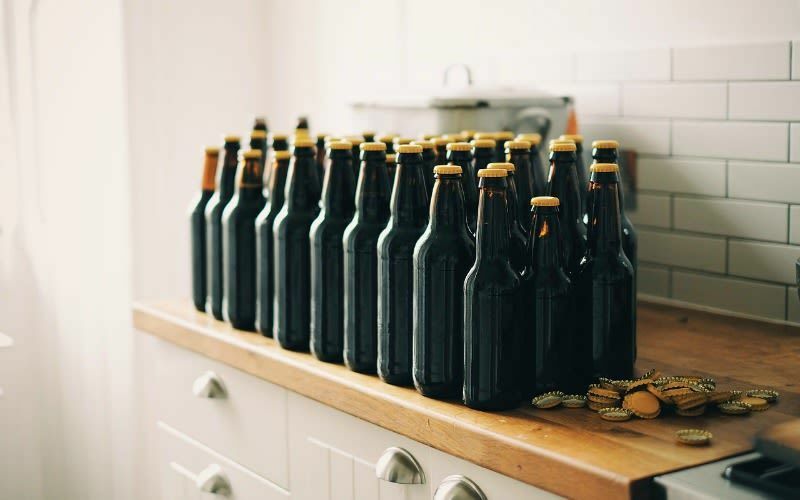 ​Most beers can be stored at 55ºF to 60ºF Make sure keep a consistent temperature level as the beer will taste “skunked” if not stored properly. ​Strong beers of this type need to be stored at around 55ºF to 60ºF, which is the average room temperature. ​IPAs, stouts, bitters, lambics, doppelbocks, etc. ​Mid-range alcohol content ales can benefit being stored in cellar temperature at 50ºF to 55ºF. ​Pilsners, lagers, beer milds, wheat beers milds, etc. 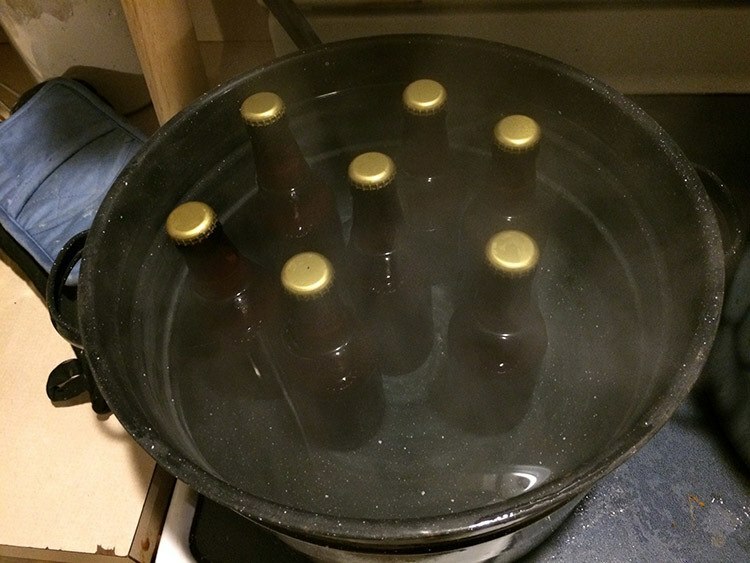 ​Light alcohol content beers should be placed in storage temperature at 45ºF to 50ºF. This will protect its carbonation and keep it from losing taste quality. Avoid the need to add ¾ cups of corn sugar to your beer. Sugars have different densities, so a cup of corn sugar won't be the same as another type such as white or brown sugar. 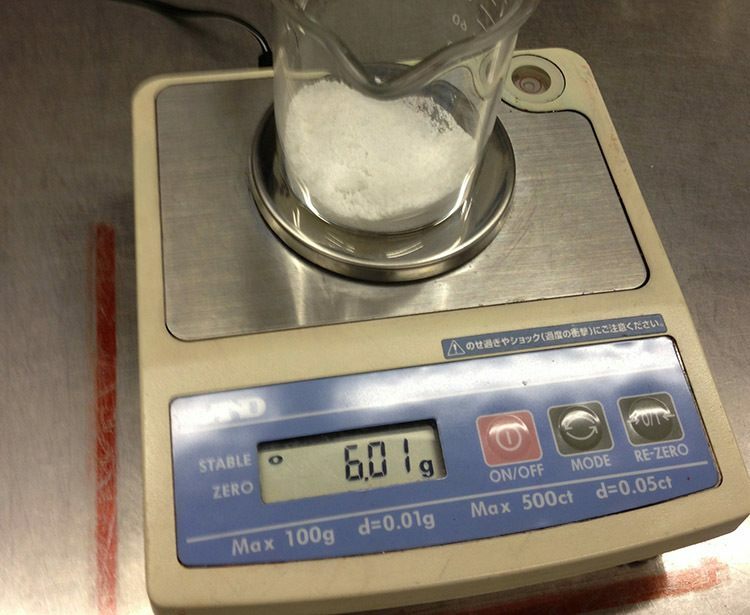 Calculate your priming sugar's weight and then weigh the DME before adding it into your beer. 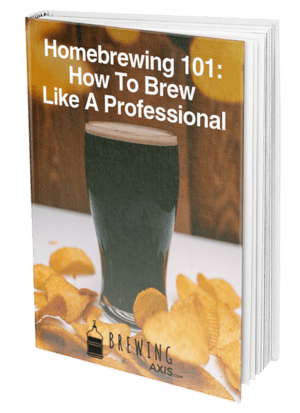 If you’ve used a cheap capper for bottling beer, then you’ll know how important this advice is. There are a myriad of bottle capping styles, and while they work well, it’s better if you invest in a well-designed bottle capper. This will save you time and frustration on bottling day. ​Storing your beer is important if you want it to last and stay good for consumption. Don’t skip the sanitization process, make sure your beers have the best form of protection from outside bacteria. By doing this, your beer will taste just like the professionals.